Your RV is a source of priceless memories. You’ve come to the right place to protect your investment. 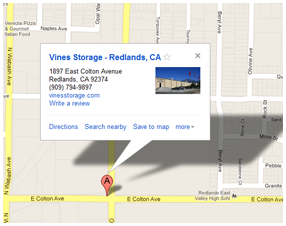 With secure RV storage in Redlands, CA, Vines Storage ensures you make more road memories for years to come. Improper storage procedures can harm your engine. 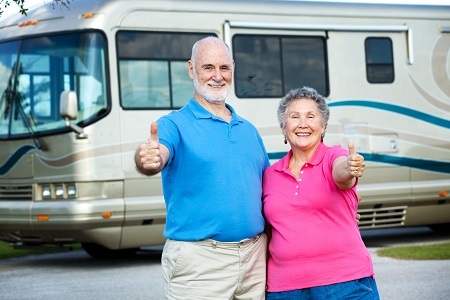 The Family Motor Coach Association generally recommends changing the oil and filter any time you store your RV for three months or longer. Acids tend to build up in used oil, corroding the engine’s bearings. You have convenient access to your RV, thanks to a personal code that allows secure entry at the gate. Visit periodically to run the engine, allowing time to reach operating temperature. Fill the fuel tank and add a preservative. Be sure to run the engine and generator long enough for the preservative to work its way through the fuel system. Periodic visits are a good time to check your vehicle for any spots that are vulnerable to critters. For example, your engine compartment creates a cozy nest for rodents who chew their way through plastic and rubber. Warming up your engine regularly also helps to deter mice and squirrels. Unlike most other storage facilities in Southern California, Vines Storage offers both indoor and outdoor storage. For the utmost protection from the threats to the life of your RV, the specialists may recommend an indoor space to fit your vehicle. During routine cleaning and inspections, mind your RV’s roof, roof sealants, sidewalls, end caps, moldings, windows, and any other areas susceptible to water damage and “the elements.” A little effort and the right storage partner can help avoid expensive repairs.